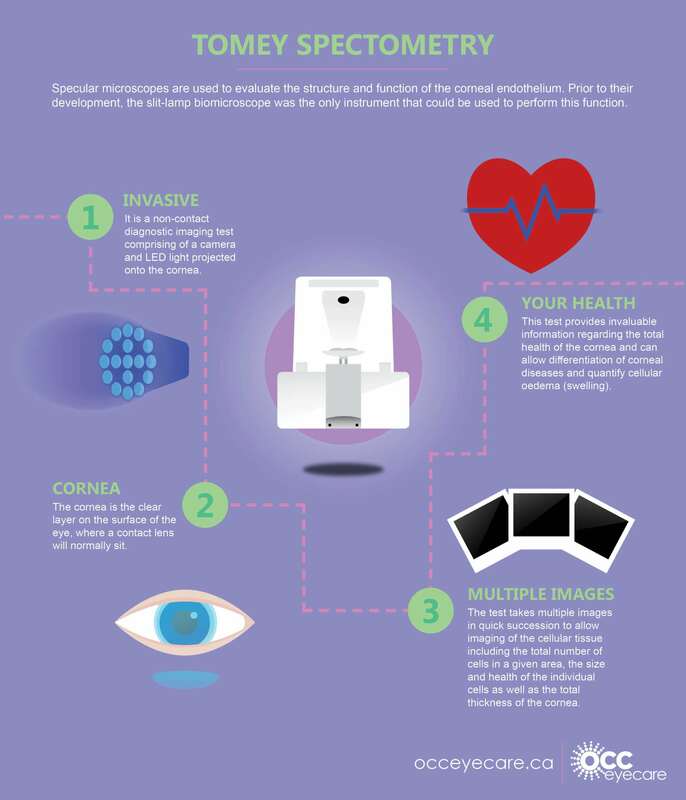 Specular microscopes are used to evaluate the structure and function of the corneal endothelium. Prior to their development, the slit-lamp biomicroscope was the only instrument that could be used to perform this function. Is a non-contact diagnostic imaging test comprising of a camera and LED light projected onto the cornea. The cornea is the clear layer on the surface of the eye, where a contact lens will normally sit. This test provides invaluable information regarding the total health of the cornea and can allow differentiation of corneal diseases and quantify cellular oedema (swelling). Click here to download infographic for this procedure and share them on your social media pages, websites or newsletters.